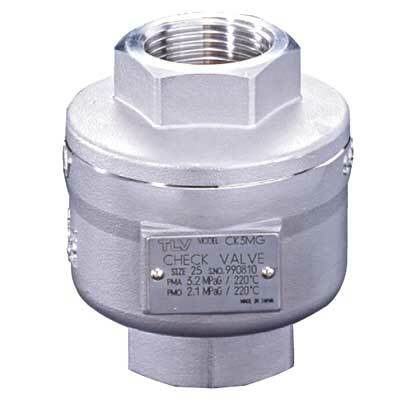 Check valves for steam and other fluids. Disc and spring construction assures stable performance with installation in either vertical or horizontal pipelines. Automatic valves for preventing backflow. 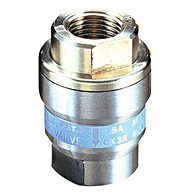 Check valves utilize a mechanical sealing mechanism to prevent backflow. By providing a tight seal, backflow is safely avoided. There are no restrictions on installation orientation (horizontal, vertical). After the valve has closed, it opens again at the slightest pressure differential. TLV’s unique center-guided disc (CK3MG, CKF3MG, CKF3RG) offers greater durability. 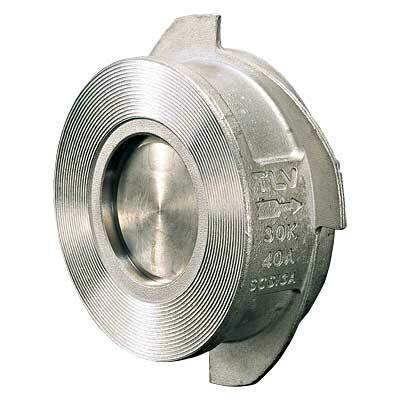 CK3M, CKF3M, CK3MG, CKF3MG (metal valve seat) – steam. 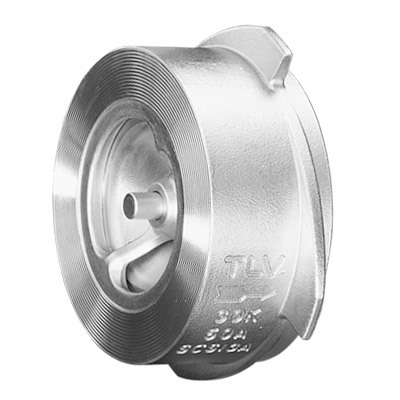 CK3T (PTFE valve seat) – steam, hot water. CK3R, CKF3R, CKF3RG ( Nitril or Fluorine rubber valve seat) – non-hazardous gasses, air, hot water, water, etc.